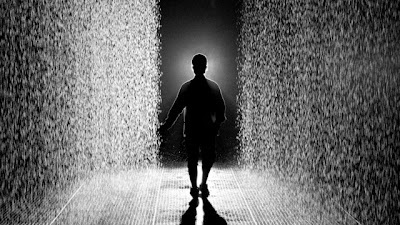 Rain Room at the Barbican from rAndom International on Vimeo. 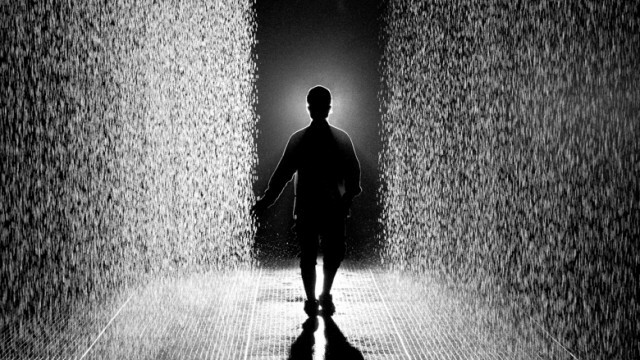 Make it rain! 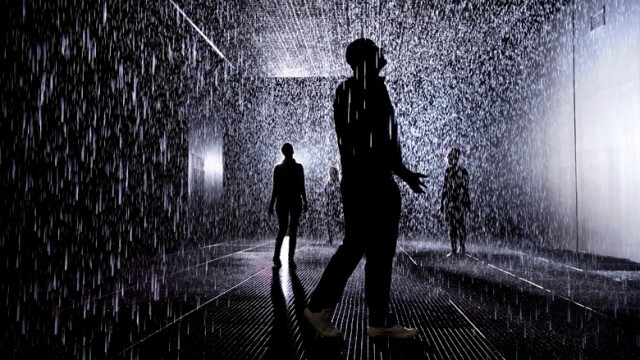 Check out this installation (Rain Room) created by London art studio, rAndom International. Camera's trigger the water valves to shut off in the location a person is standing in. Literally a person can walk around in a downpour and never get wet. It's on display until March 3, 2013.